If I had a nickel for every time I’ve heard that statement? Man. I’d be rich! But guess what I’m eating right now? I mean, slopping it up, EATING. Yup, it’s cheeze sauce, ya’ll! For all you skeptical carnivores, on-the-border-of-becoming vegans and omnivores alike out there, this one’s for you. It’s thick, it’s luscious, it’s everything you want in a cheese sauce, without the dairy. I know we’ve talked a bit about cheeze sauces before but this one is different. It’s gluten-free, nut-free, and super quick to whip up. It reheats well too. Which makes it good for leftovers.You know we all need more things like that in our lives. Plus, public skeptic #1 love it. WHO is public skeptic #1?? KIDS!! 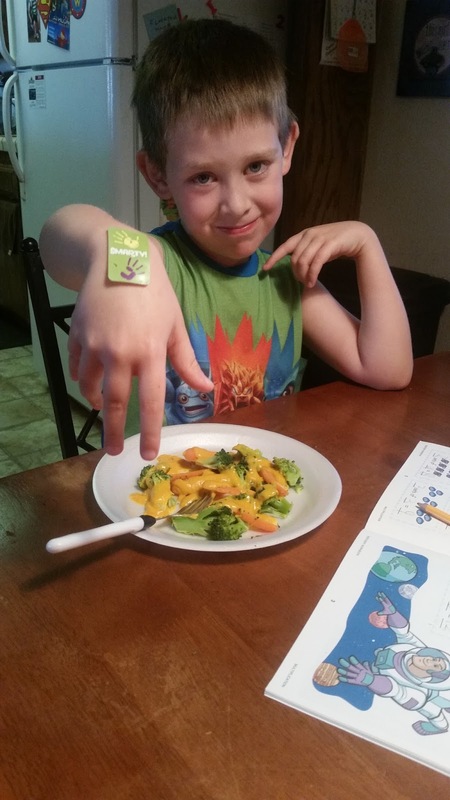 Exhibit A: My five year old and seven year old boys. 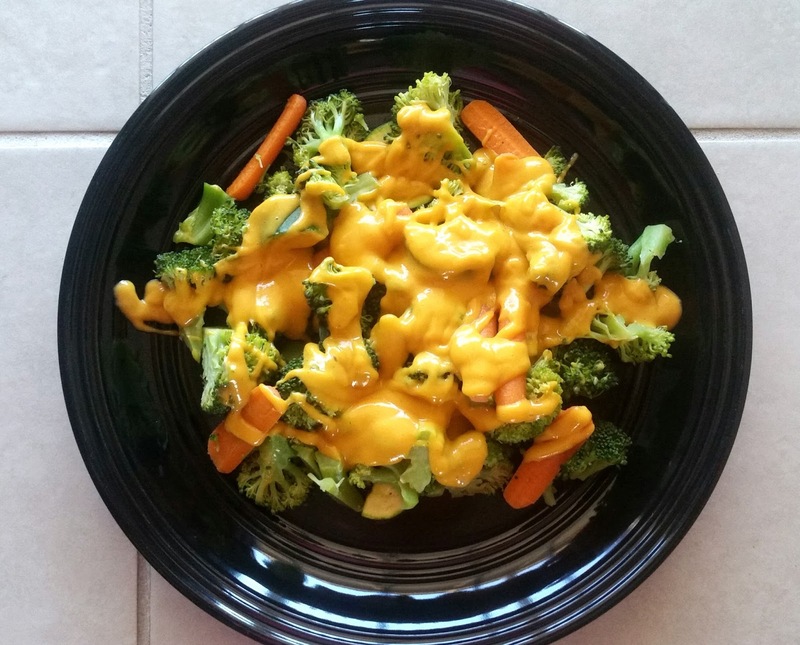 Before: With a plate of steamed broccoli, carrots and this “cheeze” sauce. After. I mean, do I really need to say anything else? 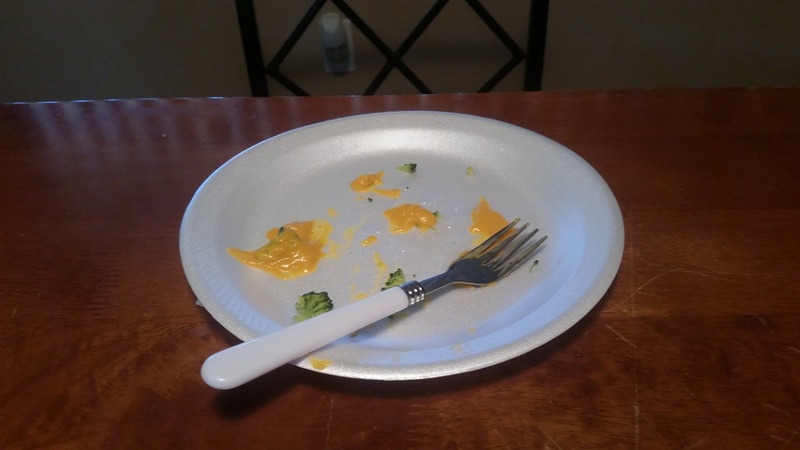 Before: Also, with a plate of steamed broccoli, carrots and “cheeze” sauce. After: Not quite as clean as brother’s plate but I’d say mighty impressive. We’ve been enjoying our summer break together. 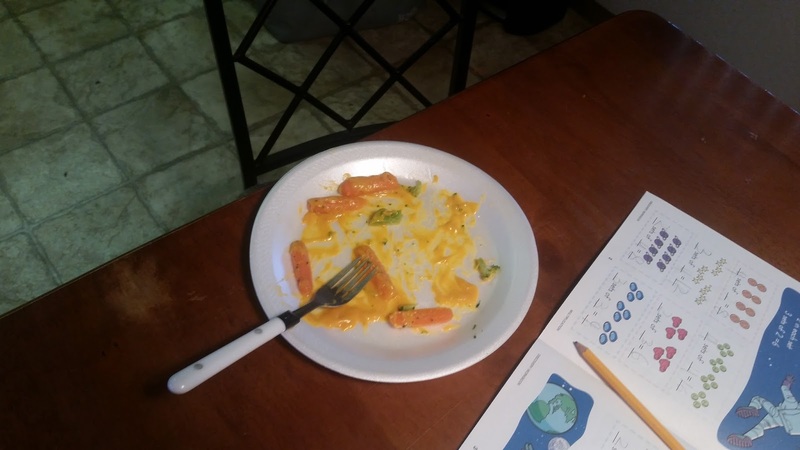 Spending our mornings in our jammies, having some “school time” doing workbooks…and yes, mommy is experimenting with cheeze sauce. What? I had a craving, OK? You’re gonna thank me when you make this stuff! You probably already have all the ingredients right now. The base of this magical sauce starts with a some cooked potato and carrot. Things that are good for you! Imagine that?? And some other stuff you probably already have or you can make a run to Winco and buy what you need in bulk. It’s worth the quick trip. So what are you waiting for? You could have this cheeze… and then your only problem will be finding things to put it on, dip in it and swirl it with. Here are some ideas: potatoes, raw veggies, cooked veggies, pasta, potato chips, tortilla chips, pretzels, bread, mix it with salsa, mix it with hummus, mix it with beans, add it to soups, put it on tacos, oh my!! This is a vegan cheeze sauce that is also gluten-free and nut-free. It is creamy, luscious, and more than you would EVER imagine it could be. 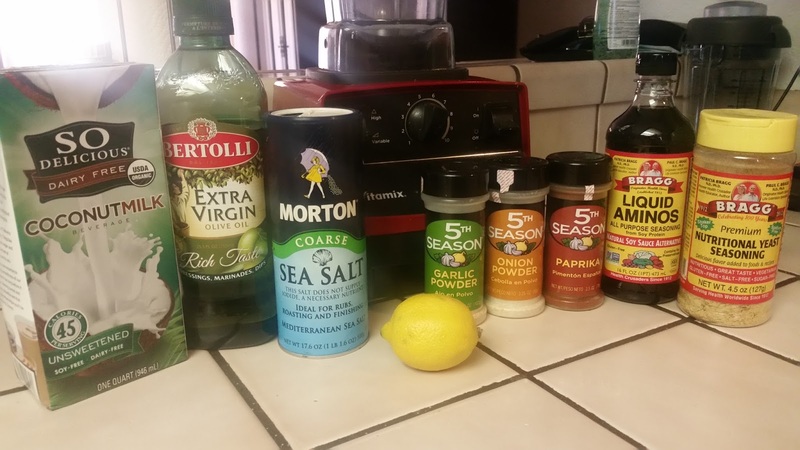 It will change your life and I promise you will want to make it and put it on everything. Why? Because it doesn’t come with a side of guilt. 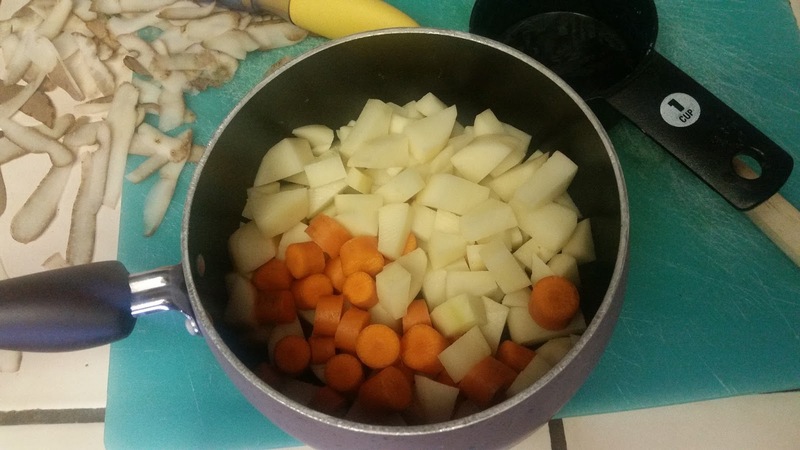 Combine the potato and carrot in a medium saucepan and cover with water. Bring to a boil and simmer for about 20 minutes, or until fork-tender. Drain and transfer to a food processor or power blender. I love my Vitamix. Best. Investment. Ever. Add all the other ingredients to your mixer of choice and process for about 2 minutes, or until velvety smooth. Viola! Serve over veggies, potatoes, or use for dipping! Serve it at a party even. I bet no one will be the wiser. My kids weren’t. And they’re KIDS! Next Post I Can’t Believe It’s Not Ranch Dressing! Looks great and I bet it taste pretty, pretty good! sounds yummy! 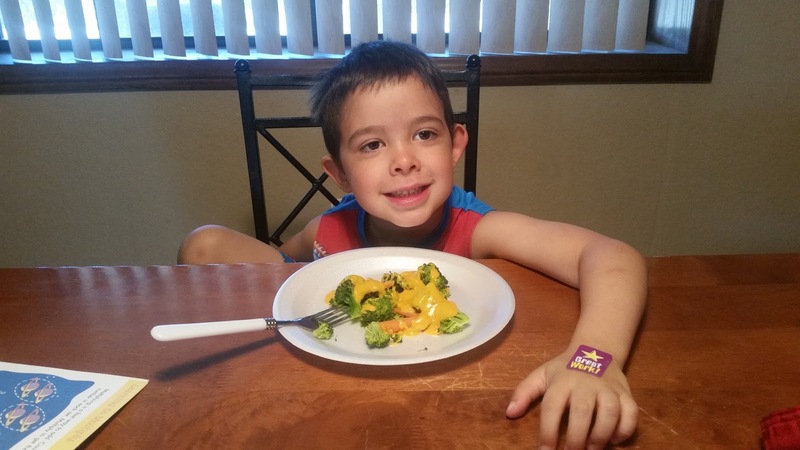 Love your blog and the pictures. Looks Great and well said.